Henry (Harry) Brunjes graduated from the University of Glasgow MA 1949. He was born on the 9th of April 1924 and was the son of a shipyard engineer. His father also played piano accompaniment for silent movies in order to supplement his income. 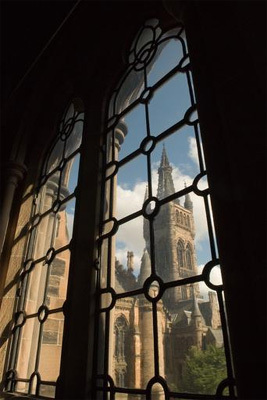 Harry attended the University of Glasgow studying subjects such as French, Spanish and History. Not long into his University career, Harry joined the Royal Navy in 1942 and he served on the destroyer HMS Talybont as a radio operator. After demobilisation he returned to his studies. Harry was a member of the Singing Scott Brothers with his siblings Drew and Tom: a group from Glasgow who received success in the early 1950s were they played in packed houses in the UK’s largest seaside venues. They also played for the Queen at the Royal Variety Performance. However with the introduction of rock and roll, Harry and his brothers were forced to seek other professions. Harry became a Modern Language teacher and later became a headmaster at a leading comprehensive in the south of England. Due to his previous musical background the school became known for its end of year shows, and the Singing Scott Brothers managed a final, reunion, show in 1973 for their parents’ golden wedding celebration. Harry retired from teaching in 1983 where he remained happy married with his wife Ellen McCall. He died on January 18th 2014.